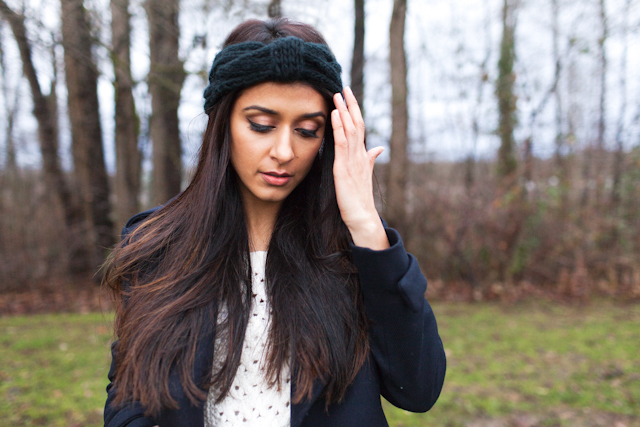 Sandy Sidhu is a young actress in Vancouver. Her first professional acting role was a recurring role in the science fiction series “Stargate Universe” as Dr. Mehta, her latest role being a guest star on the dinosaur hunting series “Primeval: New World” and she has recently tested for Bollywood. With diversified looks and talent, she has also booked several commercials and print ads. Dedicated to portraying the true human condition of every character she envelopes, Sandy is a rising star and is regarded by many as the next up and coming South Asian actress to look out for. Let’s get right into it. What projects have you been working on recently? Right now it’s been an interesting time for me. I’ve just wrapped filming my very first producing project, on a short film called Fade Out. It was produced by myself and the incredible Crystal Lowe, and written and directed by the lovely Agam Darshi. It was our first time diving into this other side of filming, and it completely opened my eyes as an actor. I have a new appreciation for the machinery of film making. Right now the film is in Post-Production and I’m continuing to develop features and TV shows. I test screened for a big blockbuster Bollywood film recently which opened up doors for me, so I’m also currently in talks with a number of studios there. India is so rich and has so much history and a large part of my roots (both my parents were born there), so I’ve been inspired to develop stories that encompass South Asians. To me, helming projects is an extension of myself as an artist. Did you go to school for acting? In highschool, I was in all my school musicals. So I was heavy into singing, dancing and acting. I privately took singing lessons for 4 years during those years. However, after highschool I attended The University of British Columbia, and received a degree in Cell Biology and Genetics. At that time, it didn’t even occur to me the arts was a career possible to be pursued so I went with the next best interest. But mid way through my studies, I had my ‘oh wait a minute’ moment and changed course. Where is your hometown? Did it influence your art? I grew up in Nanaimo. It was big enough that you never lacked anything, but small enough that if you didn’t busy yourself you could easily find there was nothing to do. I know being raised there definitely influenced and shaped me as an artist- Nanaimo is a big supporter of arts and sports for the youth there and my teachers always encouraged everyone to explore their strengths. There weren’t many distractions on the island for me so it really nurtured my artistic side. I loved growing up there. What was your first acting gig? Professionally, not including theatre, it was landing a recurring role on Stargate Universe, which had just launched at that time as a brand new series so it was an incredible first gig. Little things every day. New things inspire me. Like yesterday, it was a call from my 17 year old cousin from Saskatoon who told me about his own dreams and classes he’s thinking of enrolling in for university. I’m constantly inspired by the human heart. Also, just knowing that I have an amazing support system with my family and friends. My parents are a huge source of inspiration because they’re so so hardworking and surrounded me with so much love growing up and belief I was capable of anything. What is your ultimate goal with acting, if you have one? To carve out a lifelong career as an actress and to be able to lend myself to the character of a story, one hundred percent, without reservation. To always grow in ability, overcome any fears or barricades I may face with grace, and to take chances. To inspire an audience. Why did you come to Vancouver? What drew you here and is keeping you here? Initially, it was because of my studies at UBC but I stayed because Vancouver has a very strong infrastructure for film and TV. However, right now, there’s a need for change in the industry. The provincial government has to take action and there’s a campaign happening right now as we speak, called Save BC Film, that I am fully behind and I hope that changes are made to keep crew, actors and shows in BC and not have the constant export we’re witnessing. Where is your favourite place to eat in Vancouver? I’m always switching it up and trying out new restaurants. But I really love this new phenomenon of food carts in Vancouver. So I miss the summers in Van when they’re all out in droves. I’m also a big sushi lover and think I’ve eaten in every sushi joint there is in a 10 mile radius. It’s a definite byproduct of being a Vancouverite. What is your favourite activity/sports to participate in Vancouver? The best thing about Vancouver, in my opinion, is that it’s surrounded by water and mountains. So running/walking/relaxing along the sea wall is one of my all time favorite things. Last question, tell us something interesting about yourself?